Add a touch of exotic style to your table with our Sultan’s Garden fine bone china shallow bowls from William Edwards Home. 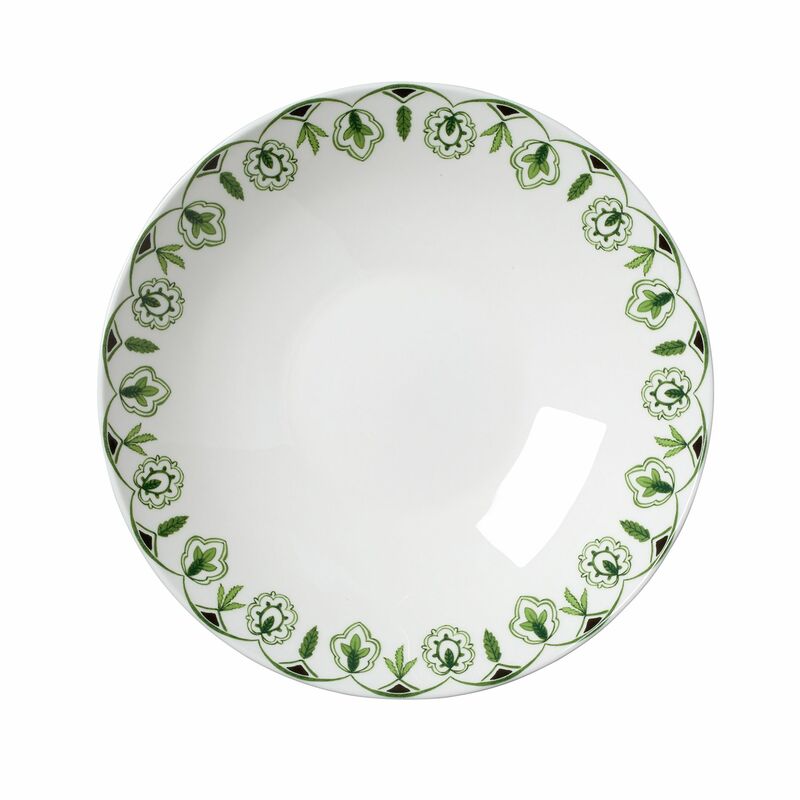 Each bowl is hand decorated with a motif of palm and cypress trees, inspired by early near Eastern ceramic artwork. 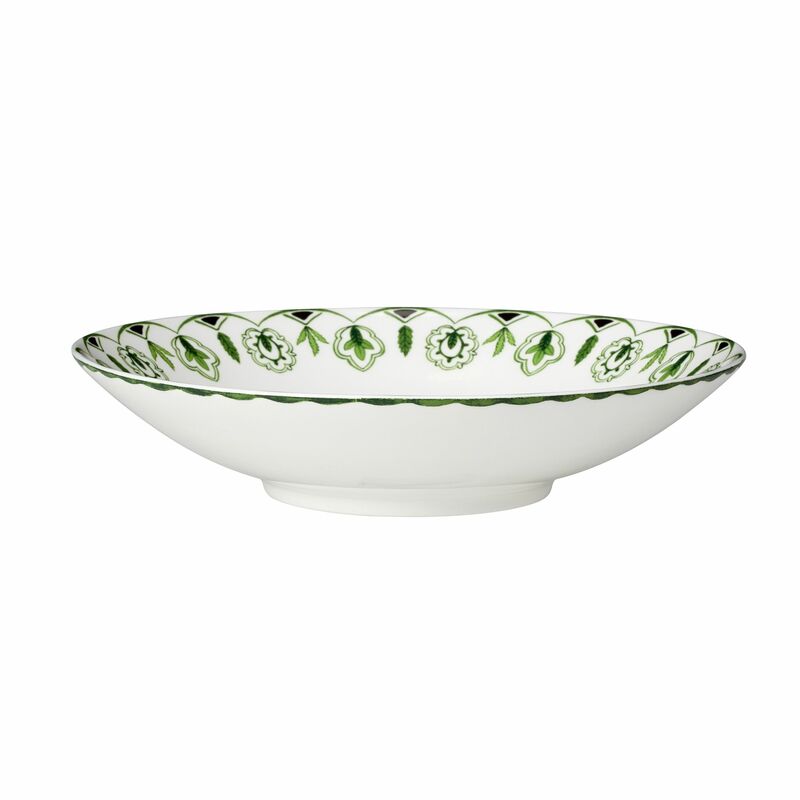 Our Sultan’s Garden shallow bowls are suitable for any occasion and for everyday use. 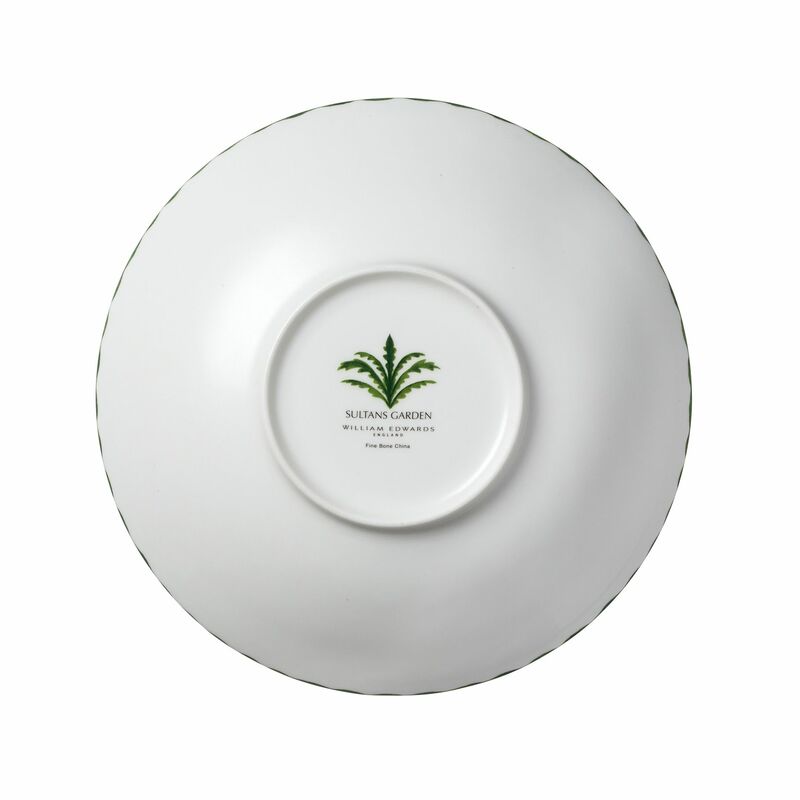 This shallow bowl is part of our new Sultan’s Garden collection, launched in collaboration with designer Sam de Teran from the world-renowned luxury Barbados hotel, Cobblers Cove. Each shallow bowl is illustrated with a vibrant motif of palm and cypress trees to bring a distinctive touch of exotic style to your table. 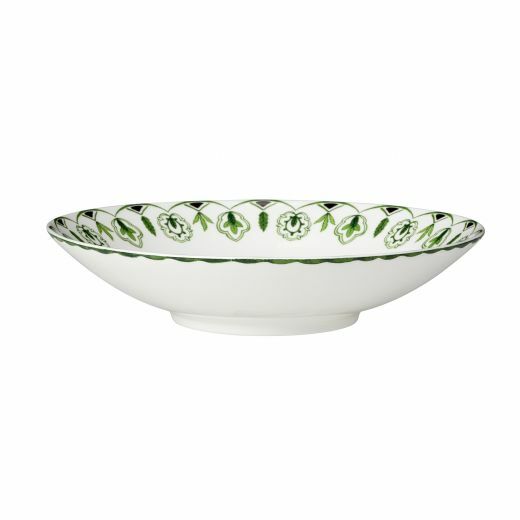 These shallow bowls will quickly become one of those true ‘home treasures’ and are sure to be a talking point among your guests.